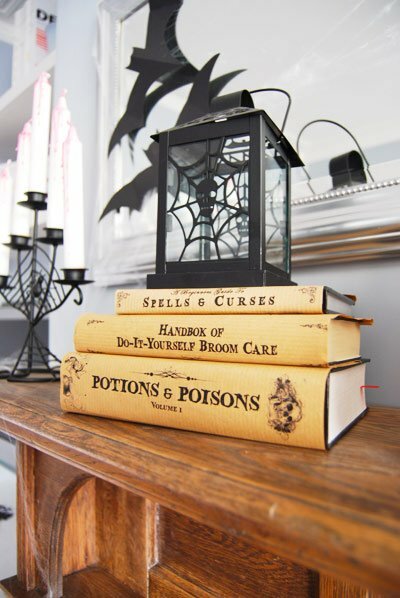 I've said in the past that I do not decorate for Halloween. 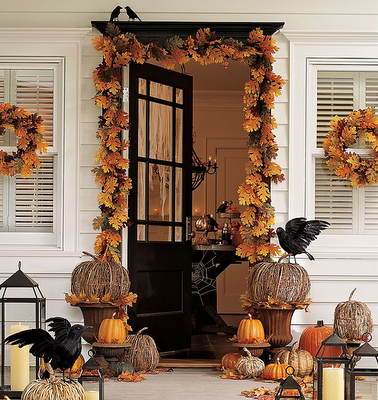 I am not really a fan of all the scary things like skeletons and mummies and I would much rather take my time putting out fall decorations and enjoying them rather than having to take those things down after a month to decorate for Halloween. 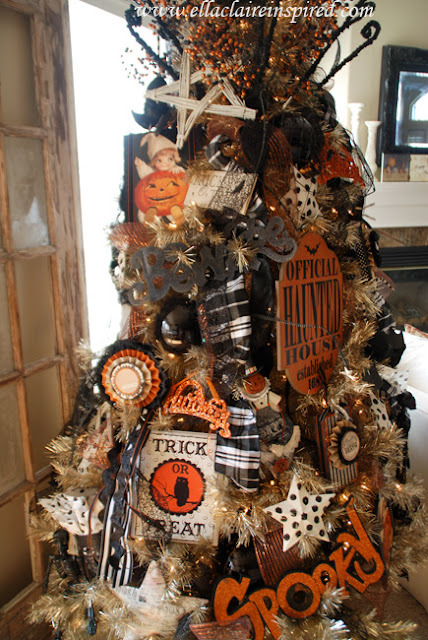 There are some great creative ideas out there for decorating for the holiday, though. 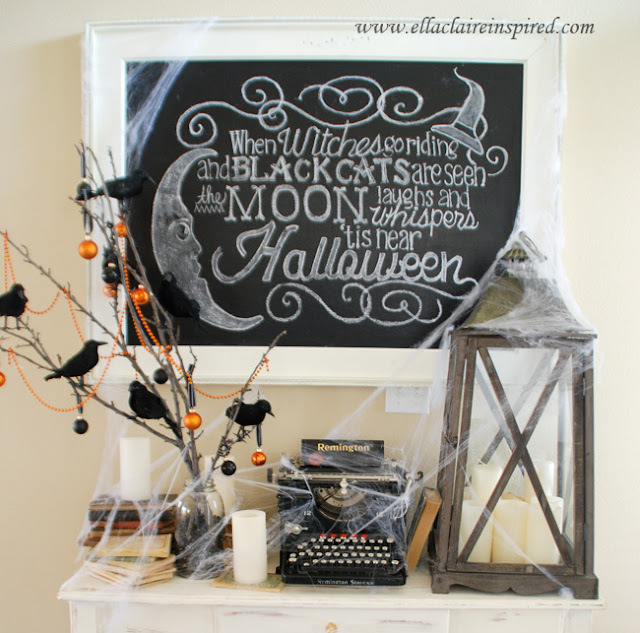 It almost inspires me to go the store for a few things! 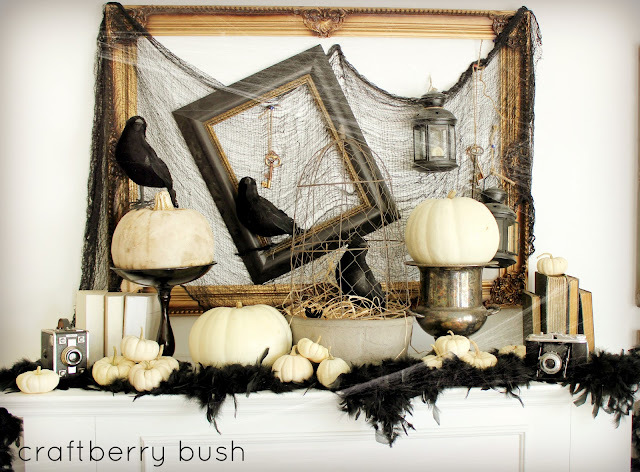 I received so many nice comments and pins from my collection of fall decorating ideas, that I decided to put together a collection for Halloween. 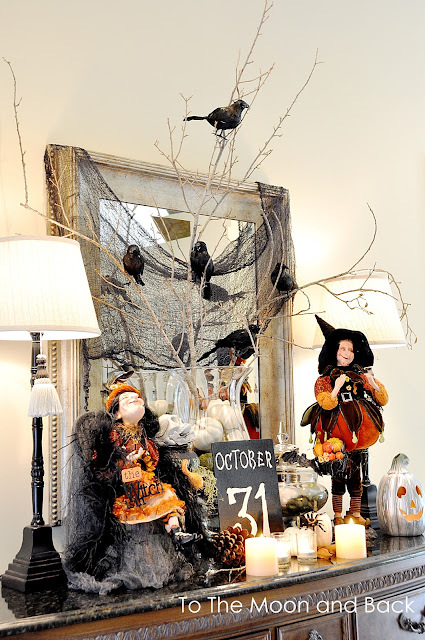 There's a little bit of everything here....mantels, wreaths, centerpieces, outdoor ideas. 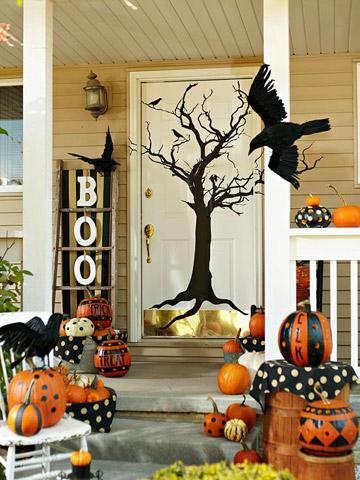 As different as they all are, none of them are overly scary or dark. 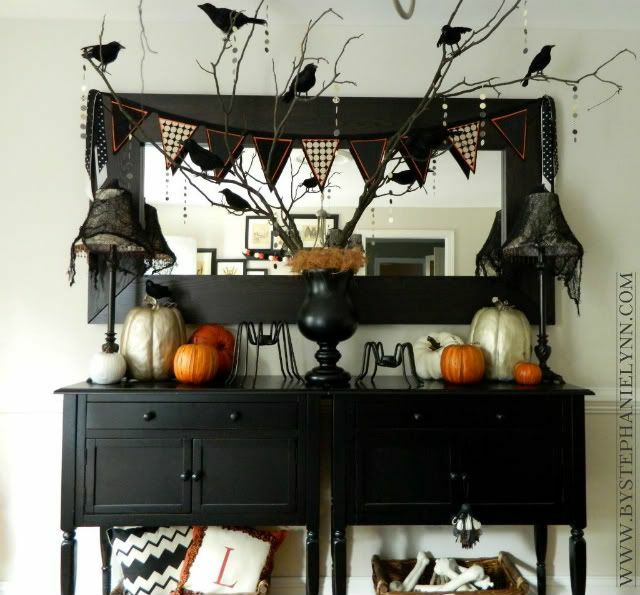 Lots of pumpkins and cobwebs and crows. 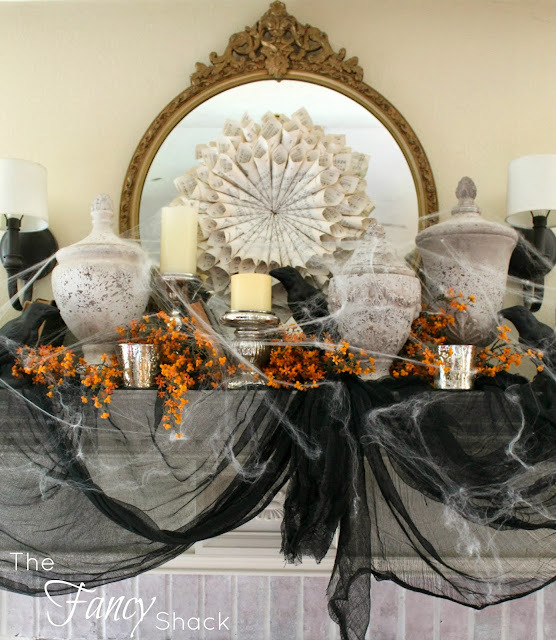 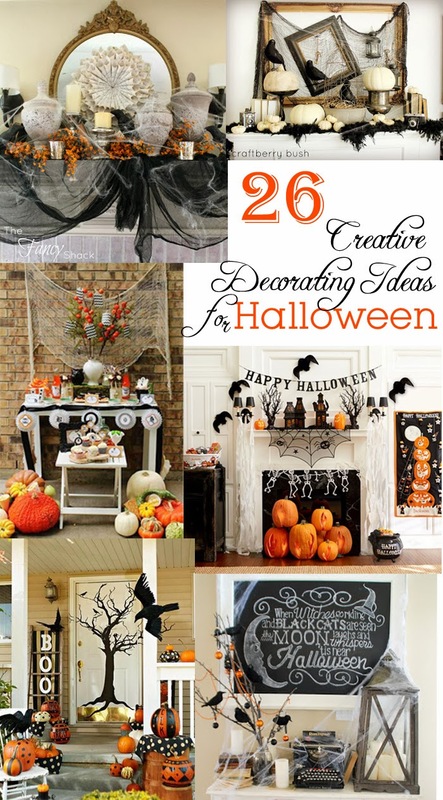 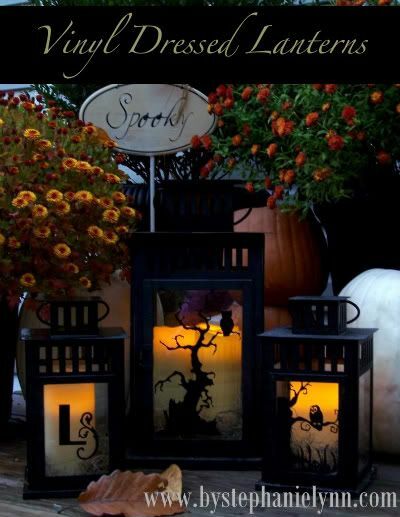 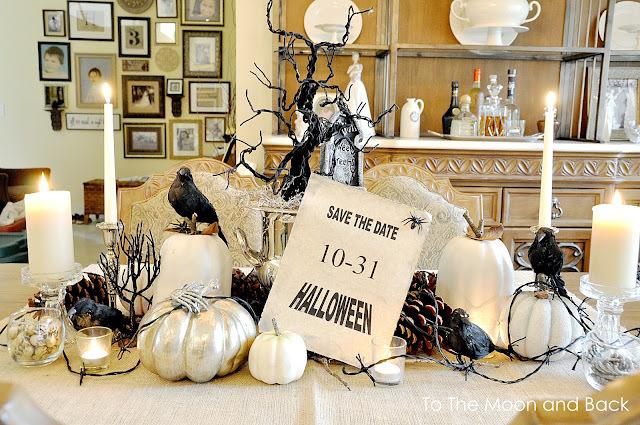 I'd love to know what you think....did any of these pictures inspire you to do some Halloween decorating?